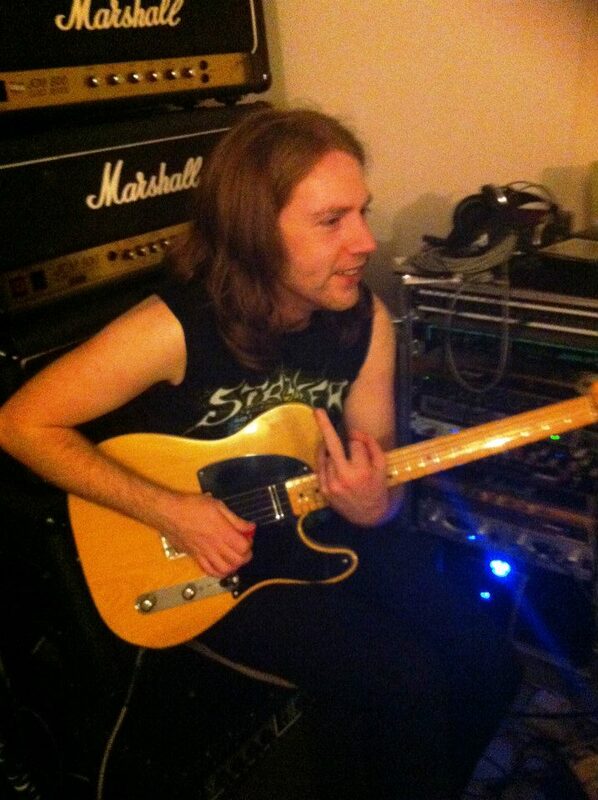 Yesterday I covered 2013 and the main writing/rehearsal thrust for the album, signing with MGR and our image change. Today I am going to write about the recording process. I am trying to keep things balanced so while the MGR thing ended up losing us thousands of pounds, but as I said in the previous blog the image changed did help and the second thing that helped us greatly was having access to Akis Kollaros. 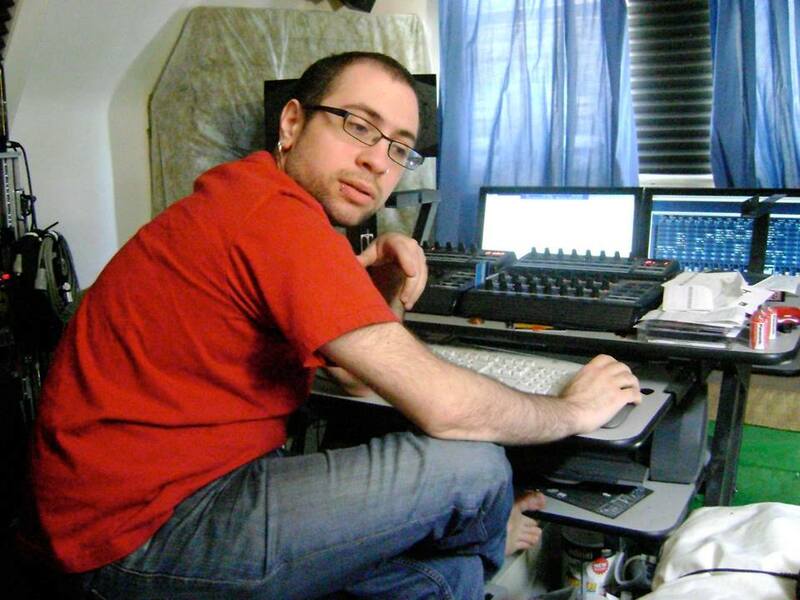 Akis of Angry Bee Studios in London was the house producer for MGR, like Peter Ellis, was Greek and had been working with Monument on their releases. Akis called me as soon as he found out he was working with us and asked to hear our demos which I duly sent. He was impressed with what we had written and said he didn’t really need to alter what we were doing songwriting wise as we appeared to understand our direction and he didn’t need to alter the songs. 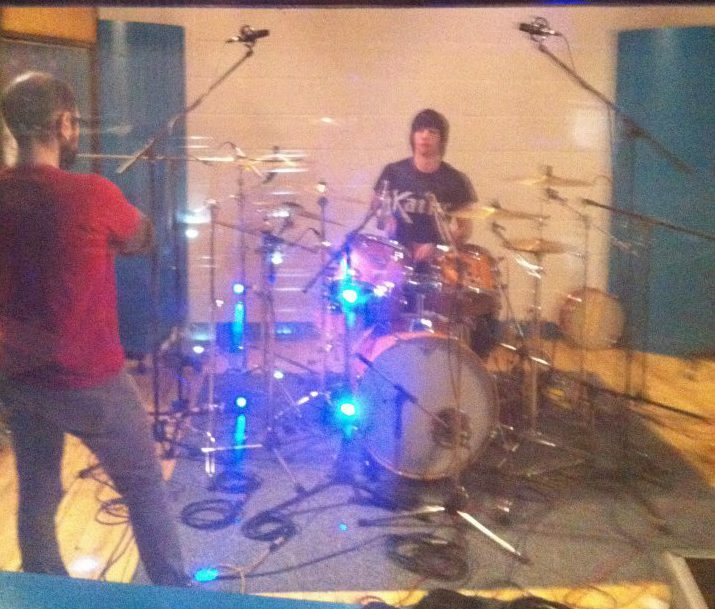 In January of 2014 I and Chris entered the studio to record the drums for the album. Chris had just one night to lay down all ten tracks and he had to run through them several times, literally working until the next day. Akis was immediately very personable, dedicated and confident in what he was doing. He worked hard with Chris to get the best out of him, even though Chris was starting despair having to do another take due to tiredness and as you can imagine wasn’t the easiest task given the lengths of some of the songs, but especially The Waystone. Chris performed exceptionally on all of the tracks in the end. After the drums were done, Akis spent the week editing them into a drum sound I think is easily one of the best I have ever heard. After the drums were done, I and Dan went down to London for Dan to record his bass parts and again it was an all-nighter with Dan working on takes until the next day. 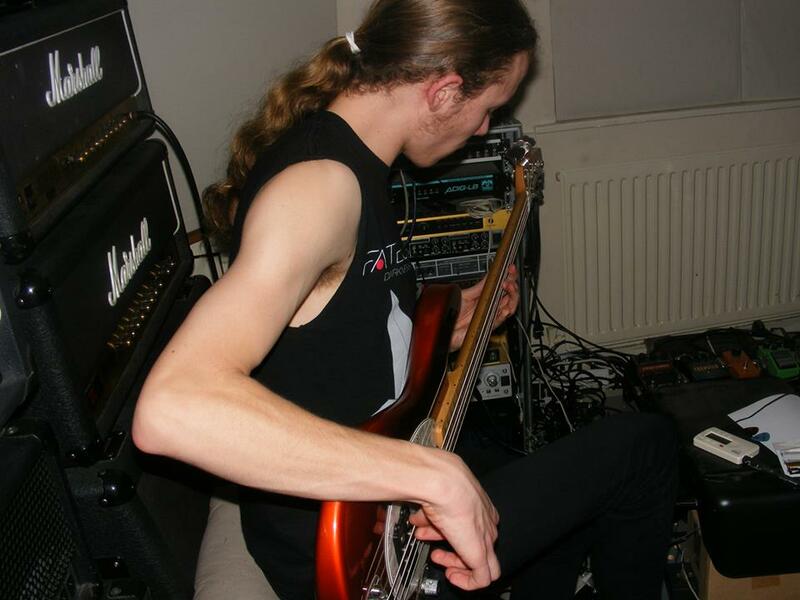 Dan is an amazing bass player and nailed his parts in the studio that night. Near sleepless we returned to the studio the very next day so Anthony could start recording guitars and finally on the Sunday I laid down my guitar parts for the album. Anthony as with Chris and Dan did a sterling job recording his parts, harmonies and solos which frankly were impressive. Akis like with all of us worked him hard to get the perfect takes. Recording overall was a fairly smooth process aside from a couple of snags here and there. Akis showed me a better way of playing certain parts which was a huge help as he had an extensive knowledge of music and music theory where as I hit strings and am lucky if a tune comes out. He did it with all of us really and pushed us to our limits.We were able to get a lot done in a short amount of time due Akis’s work ethic. Anthony Murch working on the Lead Guitar for the album. After another week or so of editing I and Dan headed down to London for the final recording sessions to do the vocals. We did them over two days with me taking the first and Dan taking the second with me doing a few overdubs. These were again recorded into the night and ideally we should have spent a little more time on them, but we were under pressure both financially and for a release later in 2014. Overall I think we did a fair enough job given the constraints. One of the highlights was when I was doing the scream on Iron Lady, Akis kept pushing me to do another. It got to the point I was seeing stars and nearly passed out on the floor. As I was fading from reality I heard in his Greek accent “One more take, just one more take”. We had a laugh doing those vocals! 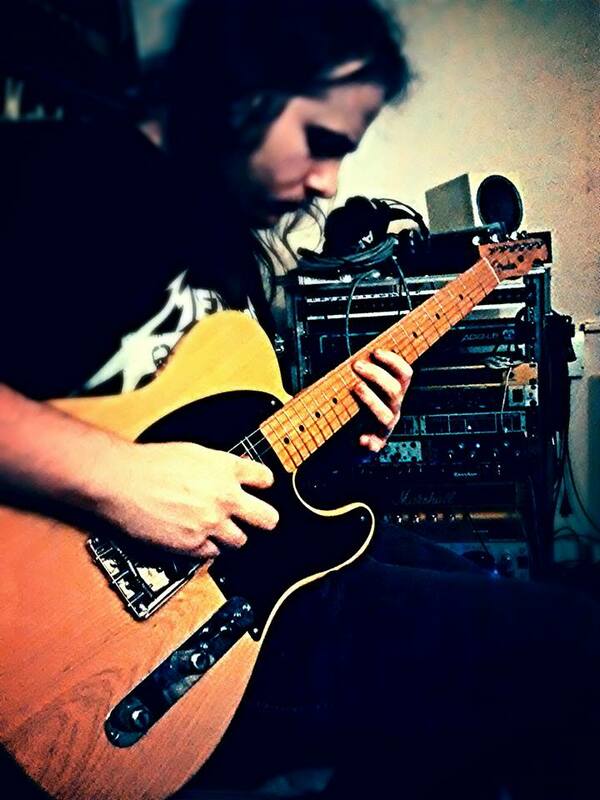 Me, Rage, butchering the classics on one of Akis’s many fine guitars. Another Akis story is he asked myself and Dan if we wanted tea or coffee. We said tea and he proceeded to poor two black teas for us both. I and Dan looked at each other and then over at Akis who looked back us and said “I forgot you are English, I don’t have any milk”. He also loved Turkish food and would advise me and Dan to go and get a Turkish wrap from around the corner every time we went to get food. I can only imagine the disaster recording vocals on a belly full of that would have been for me and probably my underwear. Akis then mixed the tracks with Peter Ellis’s guidance using the “Monument” formulae and sent them back to me. I wasn’t happy with the guitar sound at all and I ended up having a dispute with MGR over that as I wanted a much heavier guitar sound for that album (and still wish it was). In the end we ended up with a compromise on the guitars, and for the bass and the vocals. Had Akis been allowed to just work with us on those we would have sounded a lot better but these things happen in music. The reality is Kaine may be a traditional Metal band but we are also a heavy band. Our guitars have a bit of anger to them as well as melody, the bass is a prominent thing in all our music and my vocals are raw and are meant to be that way. Despite everything the album still sounds good and that’s entirely down to Akis’s hard work. The album was then sent off to Z-Plane for mastering and everything was essentially done in March of that year. Akis encouraged us to release it right away but MGR didn’t want it to conflict with the Monument release. We did however get it printed early and started selling it as a pre-order before release and would later sell them to audience members out of a bag on the first tour we did which I will elaborate on tomorrow. After the recording of the album we stayed in touch with Akis. I had already started bouncing track ideas off of him looking for guidance on the third Kaine album and we all became good friends with him. I stayed in close contact with him when he was in hospital in Greece and the last time we saw him was in June of that year. We had a really long chat about everything to do with the band, MGR and he gave us pointers on our live sound as we had just played a gig at the Boston Arms. He even signed albums for people who bought them on the night which was really cool. Akis even made the effort to phone and text me in December and January next year after my Facebook account had been removed maliciously just to ensure I was alright with everything. He was a very genuine guy. Akis was sadly killed in an accident just over a year ago and is sorely missed by everyone who knew him. I believe our album was the last he ever worked on. His favourite song from the record was Wanderer, he liked it because it reminded him of Deep Purple’s Perfect Strangers, one of his favourite albums. I wrote the track to begin with a Ritchie Blackmore vibe so it was cool he heard the influence in the song. I still miss Akis and it’s such a huge tragedy that he was taken so young. We did support the campaign to have his body returned to Greece and pledged money to ensure he got home and had decent funeral. A special thanks is worth recording for his good friend Jo Lord for keeping us updated on everything to do with Akis’s funeral and family. It’s greatly appreciated by the band.